'A Chef Secrets' is a new innovative event planning and cooking class service created and run by the award-winning team at Fiorenzoni Restaurant. With 'A Chef Secrets', Italian born chef Mario and multi-faceted chef Anita aim to offer the wider public the opportunity to in enjoy fine Italian cuisine at private functions or at home with a personal chef and their friends and family. As the title of their new endeavour suggests, Mario and Anita aim to share their family recipes and life-long passion for home cooking through restaurant-quality catering and interactive cooking classes. 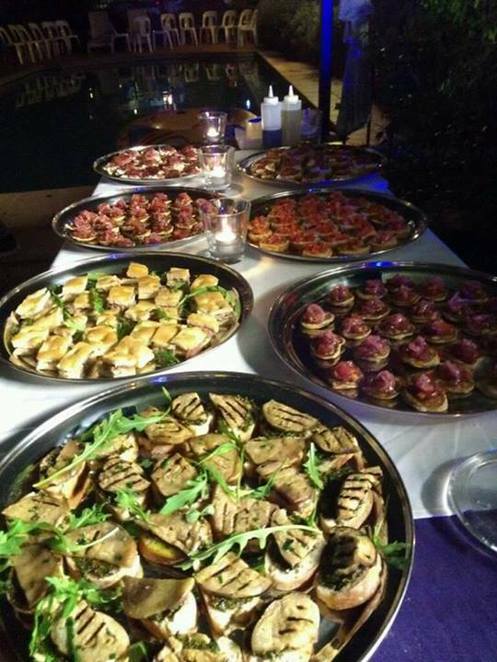 Clients are welcome to customise the diverse Catering menus to suit tastes, budgets and dietary requirements. The cooking classes can be held in one's own home or another venue of choice. The all-inclusive price includes private chef/s, all ingredients, dining service and recipes and there are a range of cuisines to choose from. With these fun classes you'll learn some tricks of the trade alongside an experienced Chef and gain confidence with your own everyday cooking. 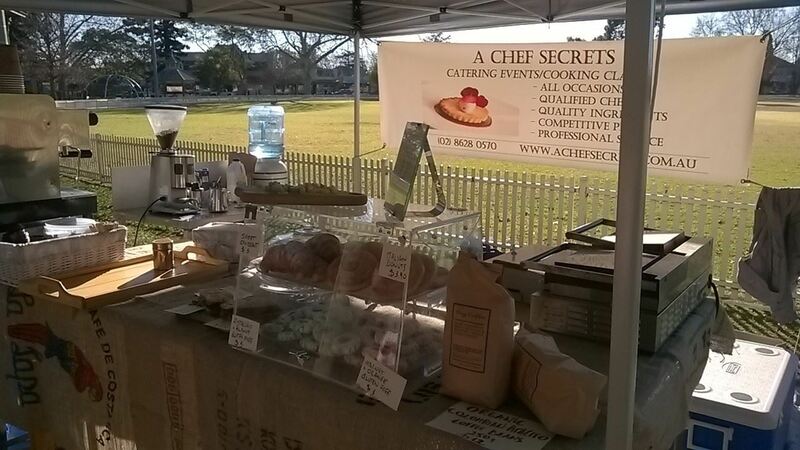 You can also meet the 'A Chef Secrets' team for a free tasting at the Farmers Market in Castle Hill on the 2nd and 4th Saturday of each month; at Katoomba Market on the 4th Sunday each month; at Berowra Market on the 3rd Sunday each month; and Richmond Good Food Market on the 1st, 3rd and 5th Saturday of each month. 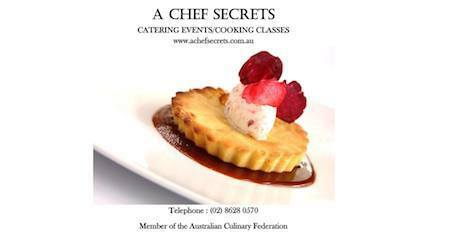 To book Mario or Anita for your next catering event (minimum 6 people) or cooking class (minimum 4 people) email A Chef Secrets at info@achefsecrets.com.au or phone (02) 8628 0570.